Ferry Corsten (born 4 December 1973), also known by his stage name System F, is a Dutch DJ, remixer, and producer of electronic dance music. He also hosts his own weekly radio show, Corsten's Countdown. He routinely plays at events all over the world with crowds in excess of tens of thousands. In 2009, Ferry Corsten ranked #7 on DJ Magazine's annual Top 100 DJ Poll, dropping to #9, #18, #22, and #42 in subsequent years. A remixed edition of Twice in a Blue Moon includes remixes by Rafael Frost, Lange, Ummet Ozcan, Markus Schulz and many more. The countries he visited during Twice in a Blue Moon: The Experience included Australia, the United States, Romania, Brazil, and Lebanon with debut show on May 29 in Mallaca, Malaysia. This year also was the third edition Full on Ferry – The Masquerade in association with UDC on October 17, 2009, at Ahoy' Rotterdam. In 2009, Ferry Corsten released two singles from Twice in a Blue Moon: "We Belong" and "Made of Love". He also released his DVD Ferry Corsten – Backstage. Corsten reveals his concept Once Upon a Night, a mix compilation that immediately hit number 1 on iTunes in the US right after its release, and the supporting world tour. Ferry's interactive radioshow Corsten's Countdown is available in more than 40 countries via more than 210 radio stations worldwide. The DJ application Cue Play DJ set up a promotional partnership around Corsten's countdown 150th edition. Cue Play DJ is a mobile digital DJ application for the iPhone, with tracks from the Flashover label. 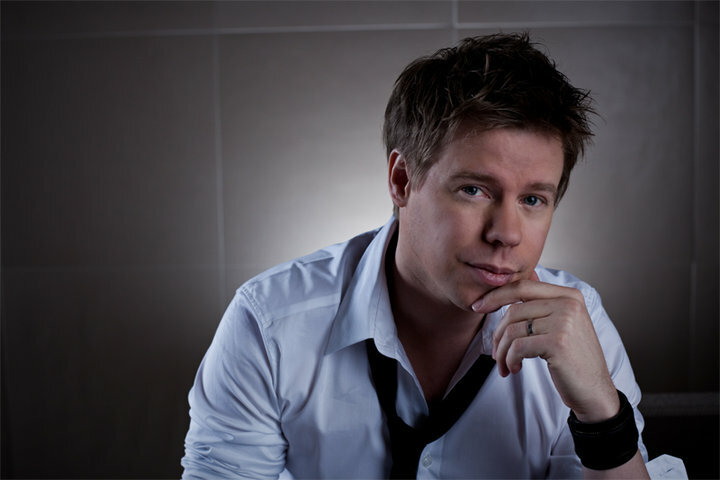 In 2010 Ferry Corsten has mixed the BBC Radio 1 Essential Mix and the album FC System F – Champions came out in February. Ferry released Once Upon a Night in 2010. The album came out on March 30 and he started his tour: "Once Upon a Night: The Experience". After the release of Vol.1, Ferry released Once Upon a Night Vol.2 on October 1, and his world tour started on September 17. Ferry hosted a New Year's Eve event at the O2 Academy Brixton, London in 2011 and 2012 in which he delivered the midnight set and went on to perform back-to-back with other successful Trance DJ's/producers, such as Judge Jules, Sied van Riel, Marcel Woods, to name a few. In February 2012, Ferry Corsten released a full-length artist album, WKND (Flashover Recordings), comprising notable songs including "Not Coming Down" (featuring Betsie Larkin); "Live Forever" (featuring Aruna) "Ain't No Stoppin'" (featuring Ben Hague) "Brute" with Armin van Buuren; "Check It Out" and "Feel It". The album was distributed by Ultra Recordsin the US. Ferry Corsten stars in a series of professionally produced, original videos titled WKNDR (pronounced "weekender") where he speaks directly to viewers from various scenes around the world. The WKNDR series shows Corsten backstage and onstage at large nightclub and concert venues as well as festivals; the series also takes viewers into his private studio for a behind-the-scenes look at music production. The 250th episode of Corsten's Countdown (April 11, 2012) was broadcast live, worldwide, for the duration of the unprecedented eight-hour show beamed out from the studios ofSirius XM Radio in New York City. The Corsten's Countdown show is aired in more than 40 countries and the CC250 broadcast became a Twitter trending topic three times during that eight-hour broadcast during which time Ferry Corsten took live requests from around the world via a specially designed interactive website, Twitter and Facebook. In May 2012, Ferry Corsten launched a new monthly mixshow titled Ferry's Fix. Unlike his Corsten's Countdown show which is weekly, Ferry's Fix is a monthly mixshow. Also, unlikeCorsten's Countdown, Ferry's Fix is a straightforward DJ mix (whereas Corsten's Countdown is an interactive "countdown" styled show). Ferry wrote a tune with Chicane and Christian Burns in July 2012 called One Thousand Suns, an emotive trance tune that has received airplay from the likes of Armin van Buuren and a very positive fan reaction based on listener call-ins to his weekly Corsten's Countdown radio show. On August 31, 2012, Ferry Corsten debuted his "FULL ON (Hosted by Ferry Corsten)" live show concept in North America at Roseland Ballroom in New York City for the official afterparty for the Electric Zoo EDM (electronic dance music) Festival. The show was previously known as "FULL ON FERRY" and it involves Corsten DJing from inside a large 3D LED cube and utilizing custom-designed visuals. Before arriving in North America, the "FULL ON" show had toured (and continues to do so) extensively across the continents of Asia and Europe. In November 2012, Ferry Corsten released the third installment to his Once Upon a Night compilation series on Premier (a label joint venture between Flashover Recordings and Black Hole Recordings). The physical release was a double-disc release. On December 29, 2012, Corsten's Countdown broadcast another semi-annual 8-hour live and interactive radio broadcast originating from the studios of Sirius XM Radio in New York City. The broadcast is heard worldwide on partner radio stations in more than 40 countries and also on the interactive http://www.CorstensCountdown.com website. After several spontaneous back to back performances in early 2013, Ferry Corsten and German producer Markus Schulz announced they will be producing and touring together as the new EDM group New World Punx. Their debut arena show was held at the Madison Square Garden during A State of Trance 600 and debuted their first single "Romper" During the set. Ferry Corsten also premiered the single during the Corsten's Countdown show a few days later. In November 2013, Ferry released the fourth version of his compilation series known as Once Upon a Night 4 through Premier which is a joint venture between Flashover Recordings& Black Hole Recordings.